Republicans, including Nunes and Rep. Mark Meadows, R-N.C., have long been engaged in their own investigations into alleged misconduct and bias within the upper echelons of the Department of Justice (DOJ) and FBI, including the anti-Trump text messages of former FBI officials Peter Strzok and Lisa Page, which they are concerned will reveal a scheme to undermine Trump. Nunes has not disclosed any names of people ensnared in his referrals, but he did break down three categories in which they fall on Sunday, including conspiracy to lie to Congress and the Foreign Intelligence Surveillance Court. 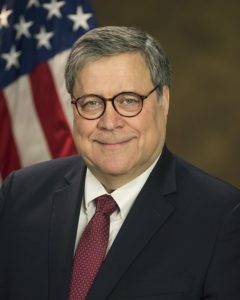 It is a VERY serious matter if people in the DOJ and/or FBI illegally spied on Donald Trump for political purposes, and Conservatives are trusting that Attorney General William Barr will do a thorough investigation!